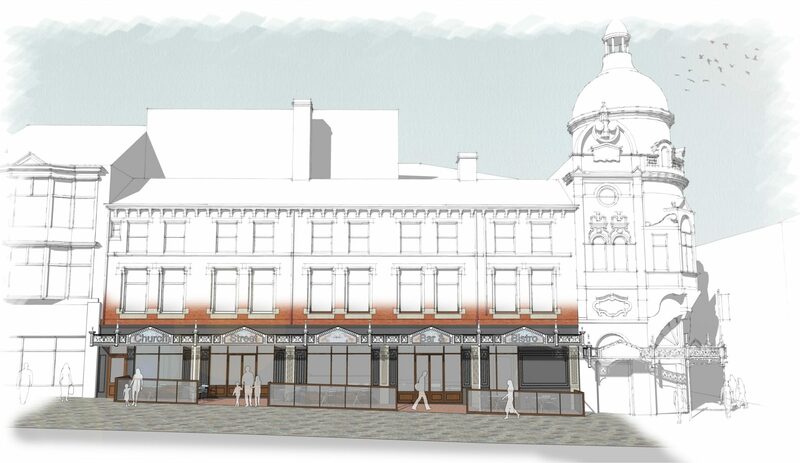 Listed Building Consent and Full Planning have been approved for conversion of the existing retail units adjacent to the Grand Theatre on Church Street into a bar and bistro, alongside associated external alterations. 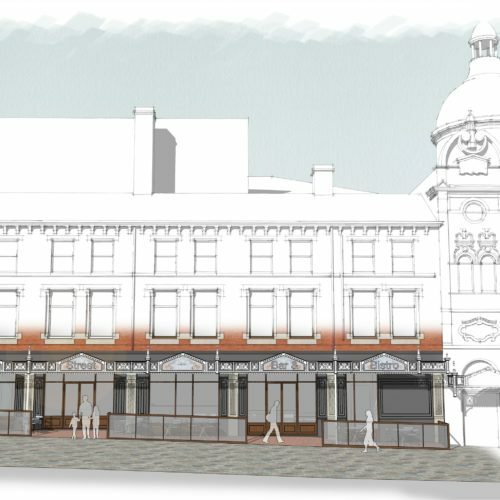 The existing units have poor quality shopfronts and signage which are unsympathetic to the architectural quality, heritage and significance of the Grade II* listed building, whereas the proposals correspond with the existing theatre frontage and canopy and reflects the building’s historic appearance and character. 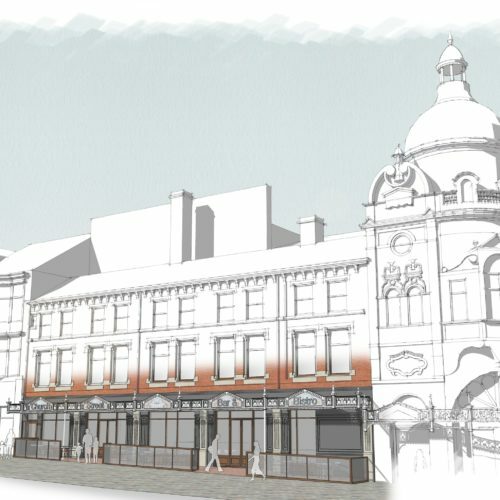 These proposals will improve the sustainability of Blackpool’s oldest iconic heritage theatre and increase town centre footfall. 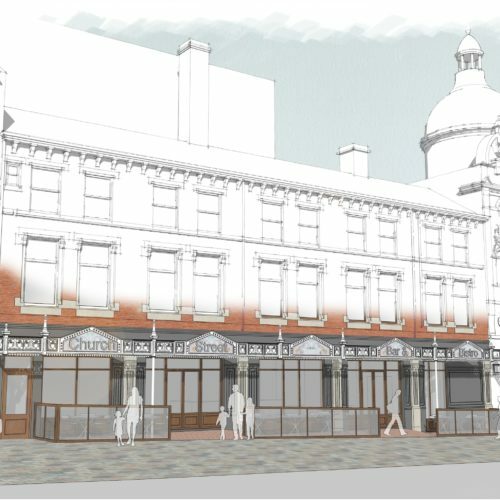 The Theatres Trust welcomed the proposals which will help support the ongoing viability and attractiveness of the Grand Theatre as a cultural asset for Blackpool, to the benefit of local people and as an attraction to draw people to the town from a wider area. 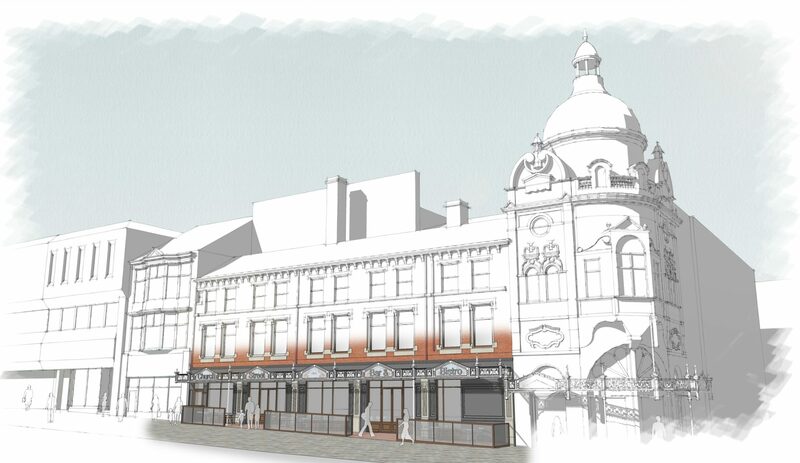 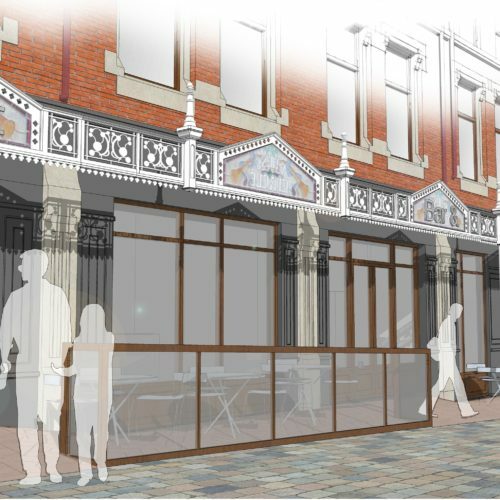 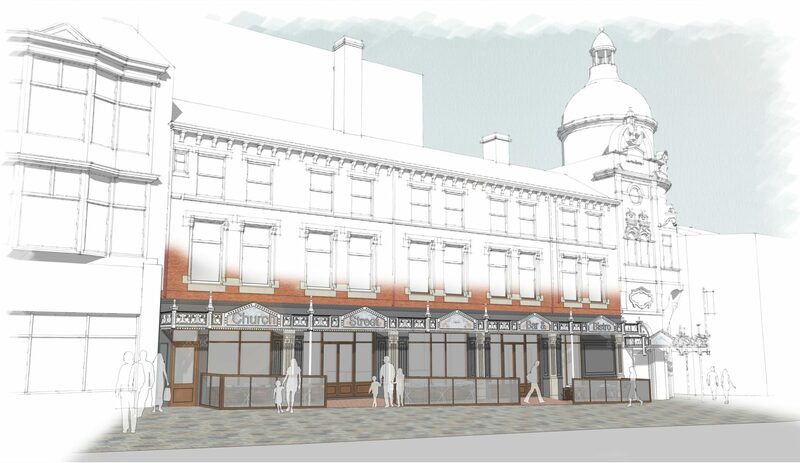 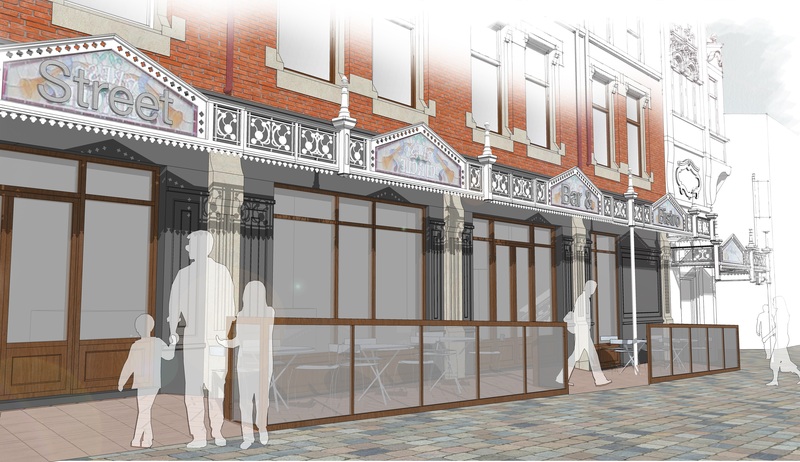 The creation of a bar and bistro operating ancillary to the theatre will help strengthen the role of Blackpool town centre and contribute to meeting various objectives as outlined within the Blackpool Town Centre Strategy.